When we travel to a new town or place we pick up customs and traditions which may actually be very alien to us. We like to try out new food, sample their drinks and take lots of pictures. Sometimes we may even settle down and make a life in that place. Courtesy would encourage that we learn the language, make friends and start behaving like them. All this may seem very charming when we take in all the positive attributes. But suppose we landed up in a place where civic sense is absent, hypocrisy is abundant and corruption a part of life. Do we become more hypocritical, corrupt and lose our civic sense too? The New York Times bestseller, The Tipping Point by Malcolm Gladwell talks about an interesting theory called the broken window theory. With the example of a broken window Gladwell explains how people’s behavior can be changed and shaped by controlling the environment around them. According to the theory, if a window is broken and left unrepaired passersby will see the disorder and conclude that no one cares or is in charge. 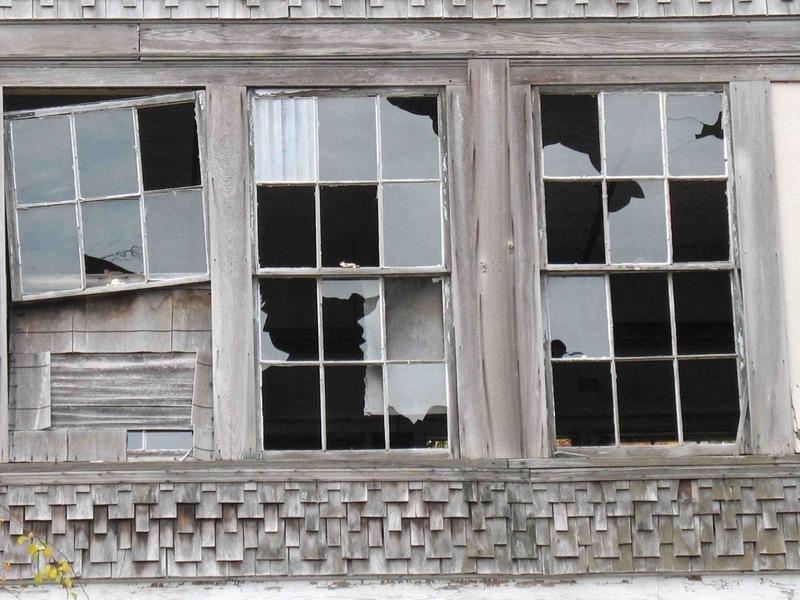 Encouraged by the state of laxity and neglect, more windows are broken and the problem becomes rampant. When you think about it, it feels like a pretty accurate reflection of how things work in Naga society as well. The environment around us, alongside people’s assumptions and perceptions largely induces us to behave the way we do. A simple example is the state of public hygiene and condition of public property in Nagaland. Nagaland suffers from a huge problem of public hygiene mostly because of the products we consume such as ghutka, tobacco and paan. Most of our public buildings, offices and even roadsides are riddled with spit stains and trash that it’s actually a surprise and relief when you come across a clean area. Gladwell’s account provides an interesting explanation of how we end up where we are, as a society and an individual. Maybe the reason why we cannot seem to improve our sanitary conditions in Nagaland is because we have reached a point where everyone feels its okay to spit and throw since it is already dirty. According to the theory, when we see that a particular spot is already dirty, then there’s a greater possibility that we will end up throwing trash or spitting in that same area. It results in an uncontrollable situation in which a problem can no longer be contained. This is a classic example of how people’s behavior and response to situations are controlled by the environment that surrounds them. The broken window theory can be applied to our Naga society in many other contexts as well. We may lament about the corrupt system in our society but it may not be just the system anymore, but the laxity on our part which makes each one of us assume that since the system is already corrupt, there is no harm in offering or accepting just a small bribe, as long as it is not a huge one. We are a land of many different tribes and if any skirmish occurs between two individuals and they happen to be from two different tribes, it becomes a full blown tribal issue. Yes, to a large extent the environment around us controls how we respond to situations and ultimately they can have either a negative or positive effect on the outcome. In the 1950’s, a new form of dancing known as ‘sock hops’, in which dancers danced with only their socks on, was an instant hit with teenagers in America. One of the reasons that led to its popularity was the birth of ‘rock n roll’ music combined with the liberating feeling of dancing without any shoes on, enabling them to perform different dance moves. The origin of the ‘sock hops’, however was mainly because of the high school dances in which teenagers had to remove their shoes, not so that they could dance easier, but in order to protect the gymnasium floor. What’s interesting about this example is how a popular form of dance originates unforeseen and circumstantial because of two main reasons – the environment that required shoes to be removed and teenagers who complied to remove their shoes. Without this condition and the compliance of the teenagers, the ‘sock hops’ would never have originated. Similarly, we can ask ourselves what kind of environment do we need to create a Nagaland that is clean, developed and enables people to live a quality life? If the broken window theory is true for us, then it means that if we have a clean office, good facilities and favourable working conditions then it will further encourage people to maintain public cleanliness, come to office regularly to work and actually enjoy what they are doing. This might be a beginning to address problems of an unruly civic sense, unprofessionalism and unethical conduct. In other words, we need to have favourable conditions in our environment if we want to create a positive difference. However, it’s also impractical to think that this alone will work. Like the ‘sock hops’ dance, it also needs a compliant public willing to obey rules to help maintain the favourable conditions we aspire for. Greater public awareness measures, training and education need to be taught and understood by the people. Ultimately, it’s not just the environment but how we choose to read the environment around us that matters a great deal in the decisions and choices we end up making for ourselves. We need to realize the power the environment can have over us, affecting our decisions, choices and future outcome. Then only, maybe we can finally learn how we need to take control of the conditions around us and make the correct decisions, whether its deciding not to litter along the roads or spit on walls so that the next person won’t do the same or refusing a bribe or gift in the belief that we can make a difference to clean up our corrupt system. Because as the broken window theory reveals, it is not only the majority that can bring about change, but with the right kind of environment the efforts of even one or two can bring about a transformation of great magnitude.